Prompted by my recent post on maps in fantasy, I edited the Pearseus map I’d drawn for the Robinson Companion. The new map, seen below, is in high resolution (2700×2200) and includes Caria, a location first mentioned in Endgame, the upcoming last book in the series. 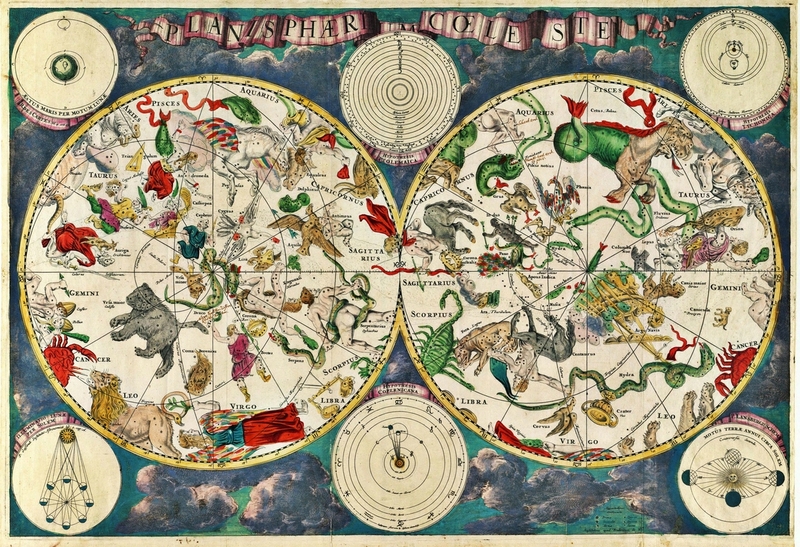 You can also feast your eyes on this stunning, hand-illustrated star chart from 1670, found on Atlas Obscura. The map is the work of Frederik de Wit, a Dutch cartographer from the 17th century. Since the 14th century, we have identified 88 constellations in the sky, named after mythological figures or the shapes they seem to take. These constellations often ended up on star charts. The above star chart shows solar orbits and the lunar phases in addition to mapping and stunningly illustrating the constellations visible from earth. The careful attention to detail given to the main star chart carries onto the borders of the map, which feature cross-hatched blue clouds and lettered pink scrolls. It is in the main star chart, however, that the details become even more impressive. 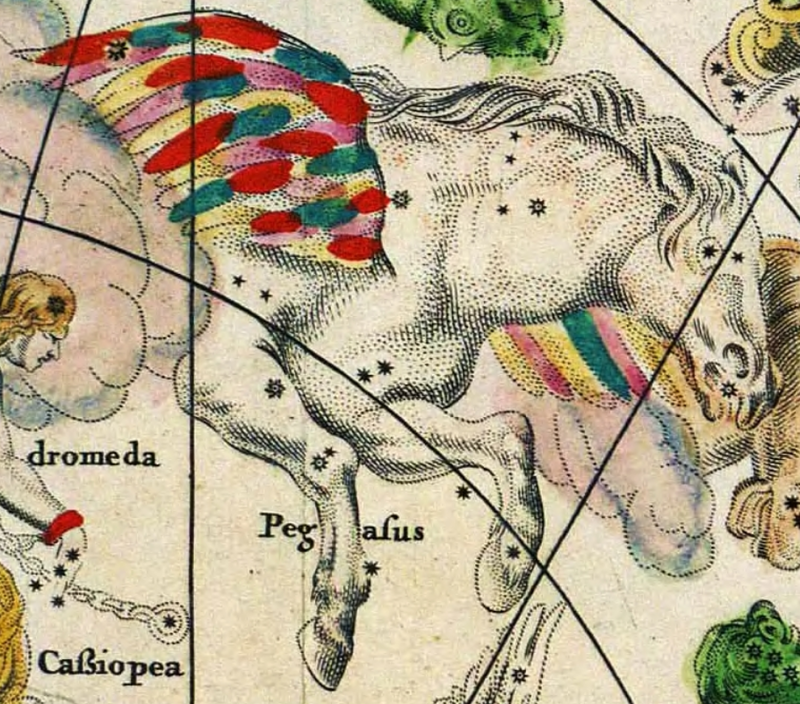 For example, this beautifully-rendered horse with rainbow wings in the upper left of the map is actually the mythical creature known as Pegasus. He is said to have created the fabled Hippocrene, a fountain on Mt. Olympus, by digging his hooves into the ground. The constellation named for the winged stallion was one of the 48 listed by Ptolemy in the 2nd century AD, and is one of the 88 we recognize today. 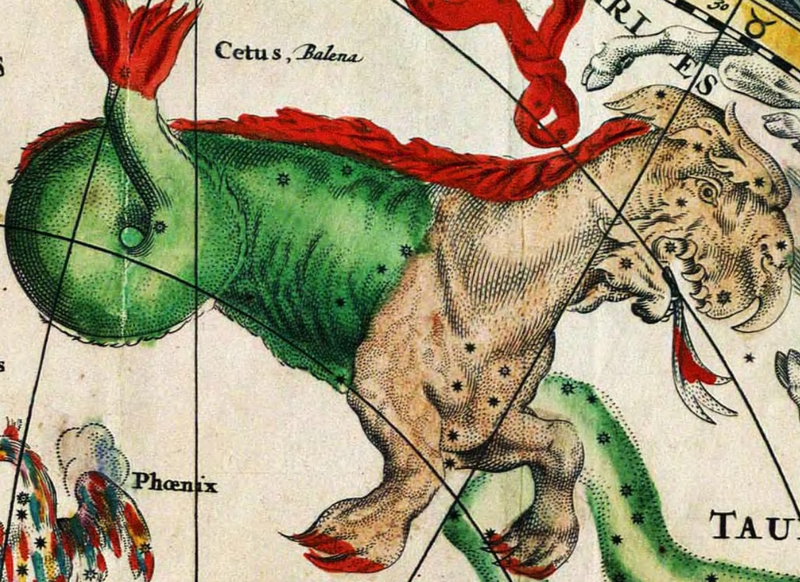 In between Pisces and Aries stretches the figure of an enormous sea monster. Known as Cetus, this mammal-fish hybrid also derives from Greek mythology. As the tale goes, the goddess Cassiopeia incurred the wrath of Poseidon, god of the seas, when she proclaimed that her daughter Andromeda was more beautiful than the sea nymphs known as the Nereids. A furious Poseidon sent the sea monster Cetus to attack, and to satisfy the beast Andromeda was tied to a rock on the sea. Demigod Perseus learned of this and arrived in time to save Andromeda and slay the beast. You can read the full post on on Atlas Obscura. Your map is magical – I can’t see anyone finding it at all distracting. I hate books with so many place names that the reader spends an inordinate amount of time trying to make a map in their mind. PS How’s your little one? That is so sweet of you; thank you! Your map is wonderful! What software do you use? I use Profantasy CC3 to draw my maps but find it very confusing. The results are good though. I love maps, especially old ones. I have a map of middle earth hanging in pride of place on my wall. Lol! I, too, use Profantasy CC3. But I edit them heavily on PaintShop Pro. That’s where I added the frame (which turned out to make a big difference), the place names and the sepia tone. Yes the frame is just perfect! And the sepia, of course. I never thought of editing in a different program though… very clever. I find Profantasy quite difficult to use, I’m not used to using layers etc. Most of what I did worked through happy accident, I think! Lol! I really like your map, Nicholas, and the sepia tone is great. I keep forgetting that the maps for ebooks can be in color. What was the result of your survey? Are people for, against or neutral on maps? Oh good. I’m not surprised. I used them and enjoy them. Thanks! Amazing maps! Especially love your new one, which brings the world of Pearseus into even sharper focus. Oooh loving the maps! Especially all the talk of Greek Mythology. I love Greek Mythology! 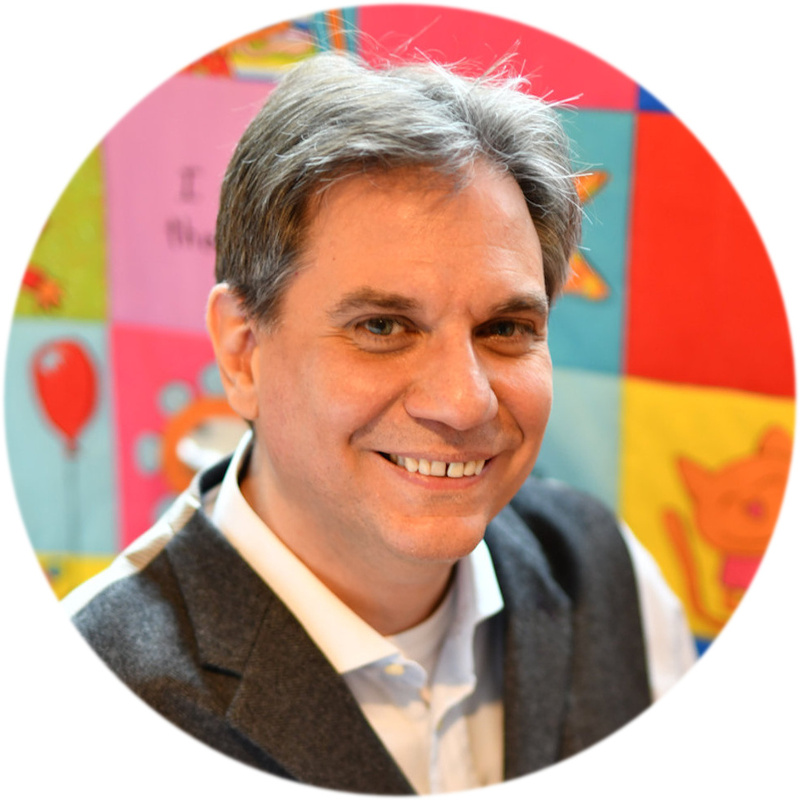 Have you considered teaming up with your fabulous illustrator and writing a book of Greek myths for kids? I mean, I know there are already a lot of those out there … but is it possible to have too many? I think decidedly not. I love your modern myths! But you could do both modern an ancient to cover the full spectrum. Or maybe your myths are more like future myths, since they’re set in the future? 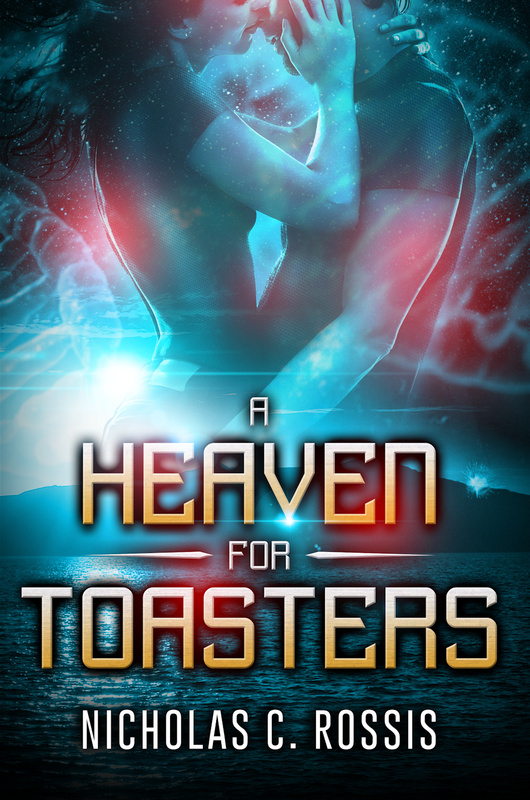 In which case the obvious solution is that you need to write a contemporary urban fantasy about Apollo’s quest to find love while working as a charming barista in Brooklyn. Ooooooh gotcha. You’re right! Musiville could definitely be modern — although I always pictured it as being slightly in the past, like a sort of Renaissance Italy type thing. I think a few of the instruments in there weren’t invented until modern times, though … That being said, I tend to underestimate how old things are (did you know chewing gum is like 9,000 years old???) so I could be totally off on that, lol. Gum in ancient? How do they even know? Did they find some in, like, a cave or something? Or perhaps an Egyptian tomb? Ooh, even better: maybe the cave drawings depicted people chewing gum. Very Flintstones all that! Awesome map. One thing I’m curious about with the star map is how many of those stars still exist. Takes a while for light to travel, so some constellations might no long exists. Who knows how many have vanished over the millennia too? Not sure if there’s a story there. A few centuries are just a blink of an eye, but you’re partly right: even if all the constellations exist, they have switched places since then. I recently read a short in the NonLocal Science Fiction Magazine, with someone who travels back through time and finds out that the constellations (and space) only exist when they are observed. Curious concept. So it’s just nothing if nobody is looking at them? Sounds almost like a very mean cosmic practical joke. Just hear a god whispering ‘Watch me make this mortal run around the galaxy like an idiot’. That’s just me though. The de Wit map is a treasure indeed. And your one is pretty good too! Love your map! Strong vibes of the Eastern Med, Attica, Anatolia and the Black Sea without it actually being those places. Nicely done! (I’m a cartophile who studied Classical Civilisation at school). I recently read this book which gives a huge insight into how geography always pushes certain agendas with some countries: https://www.amazon.co.uk/Prisoners-Geography-Everything-Global-Politics/dp/1783961414 – could be of use in constructing underlying plot drivers for any mythical land. Many thanks for the link. The book look fascinating. Thanks! Yes, the book is really engaging and opens your eyes as to why countries persistently behave the way they do. The only issue I had with it was that I downloaded the Kindle version to my phone app – and the maps just weren’t quite big enough!